Microsoft and Nokia will invest up to $24 million in a new mobile application development program at Finland's Aalto University during the next three years, with the goal of helping create applications for Windows Phone, the two companies said on Monday. The program is called AppCampus and will kick off in May, at which time interested entrepreneurs can start applying for grants. The two companies will split the bill in half. How much they will eventually invest will depend on the quality of the applications, according to Kai Öistämö, executive vice president at Nokia, said. "We aim to attract thousands of applications from students and entrepreneurs from all over the world," said Öistämö. The participants will get financial backing without the need to give any equity interest to investors and also will receive coaching on technical issues and how to commercialize applications. At first, only grants for Windows Phone apps will be accepted. Also, applicants who have developed mobile applications based on AppCampus grants have to commit to exclusivity for six months. Besides Windows Phone, it will eventually also be possible to apply for grants for Symbian and Series 40 apps. The latter platform is, for example, used on Nokia's Asha family. "It just goes to show the importance Nokia and Microsoft are placing on app development. Both companies are playing catch-up with Apple and Google," said Paolo Pescatore, analyst at CCS Insight. Today, there are about 70,000 applications in Microsoft's Marketplace application store, compared to an estimated 50,000 applications in December last year.That compares to more than 550,000 in Apple's App Store in the beginning of March. 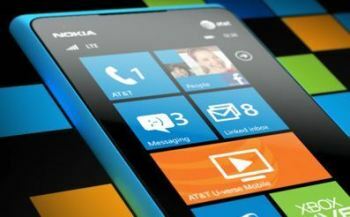 A report from development platform vendor Appcelerator and market research company IDC last Tuesday said that 37 percent of developers are very interested in developing applications for Windows Phone and 18 percent exclusively for Nokia's Lumia phones. That compares to 89 percent for iOS and 79 percent for Android-based smartphones, according to the survey. The key to changing that is to sell more phones, according to Appcelerator.